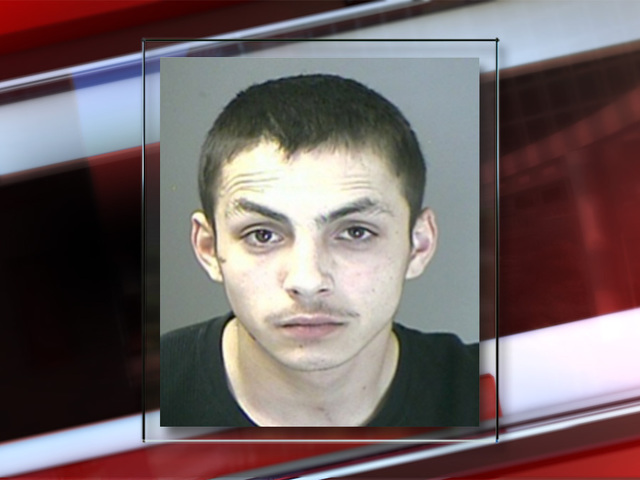 Ignacio Paul Diagle, the second suspected car thief involved in a fatal crash that killed a young Thornton mother on Wadsworth Parkway Tuesday evening, has been arrested. Diagle, 19, was arrested at around 6 p.m. by Westminster Police officers in the area of West 88th Avenue and Federal Boulevard, according to a police department spokesperson. The teenager had a warrant out for his arrest for intentionally driving across the median and slamming a stolen truck head-on with the vehicle of Jessica Holman . Holman, a young mother from Thornton, died in the crash. Westminster Police told Denver7 two men stole a Ford F-350 pickup truck and a trailer with two off-road vehicles from a house in the area of Wadsworth Boulevard and West 88th Avenue. The owner saw the thieves and began to follow them and called police. Patrol officers caught up with the stolen truck as the driver was headed northbound on Wadsworth Parkway. Moments later police activated their lights and sirens in the area of West 94th Avenue and Wadsworth and tried to make a traffic stop. They say that's when the driver of the stolen truck veered across the median and into the southbound lanes, striking Holman's car head-on, killing her at the scene. Neighbor Megan Patterson told Denver7 that she heard the crash, looked up over the fence and saw two men running. She said it frightened her a bit when she saw one of them jump over the fence. "That's when I thought it might be a stolen car," Patterson said. "We got into our apartment as fast as we could and I locked the door." Patterson said she and her son had just returned home from a trip to the mountains moments before the crash. "I've been thinking about this all day," she said. "I'm grateful. I'm 32. I'm a mother and it was just a minute or two prior that we were on that road. So, my heart goes out to that family." Family members told Denver7 that they weren't emotionally ready to speak about Holman, 33, on camera. "My niece was the most beautiful soul on this earth. To be taken like this, is beyond words. Our family will be forever changed and saddened by our loss. Please keep our family in your prayers. Please, anyone who knows anything or has any information please contact the police. Thank you, the Holman family," Valerie Holman said. "My cousin Jessica didn't deserve this. I love you Jessica and I pray for justice," DeziRee Holman said. "The woman who died in this crash is one of my sister's best friends. She has a son and was a single mom. This is a senseless act that took a mother from her child. So terrible and tragic," Autumn Murray said. Westminster Police spokeswoman Cheri Spottke told Denver7 the first officer on the scene had to decide whether to go after the fence jumper or to stay with the first suspect who was in custody. She said he stayed. When asked if police had actually been chasing the suspects prior to the crash, Spottke said, "By definition and case law, a pursuit is when an officer activates emergency equipment and the other vehicle doesn't stop. It doesn't matter if the vehicle goes a short distance or several miles." Spottke added that the incident involving the stolen truck was a "short pursuit." The man whose truck was stolen did get one of his off-road vehicles back. The razor vehicle had fallen off the trailer on the 8600 block of Queen Street. Diagle will be held at the Adams County Detention Facility on the charge of vehicular homicide and an unrelated warrant out of Adams County.